Time flies when one daughter is getting married and another is having a baby! It's been TOO long since my last post! Each kit comes with the embelishments here, plus the spider on the card above. 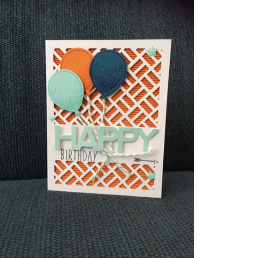 So off I went, to use my spider and web on a card! Using our new washing tape, Gorgeous Grunge stamp set, Chevron Embossing Folder, Simply Scored Board, our mosaic punch, and our retired set, Wicked Cool, I went to task, creating this fun creation. 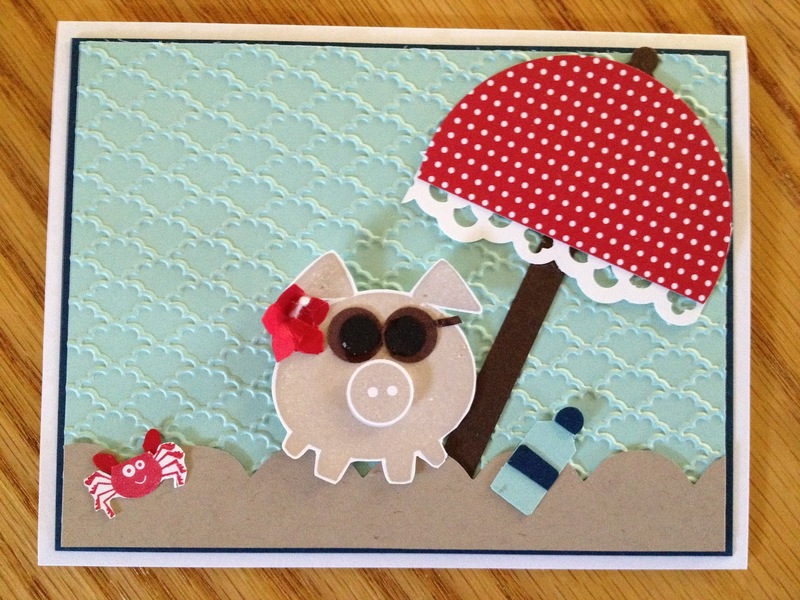 This card went together quickly and was a blast to make! If you would like to host a class on this banner... or, the Christmas Banner shown in the catalog, please let me know! I'd love to help you and your friends get your creative juices flowing while crafting some lovely 3-D items for your holiday celebrations! Enjoy, until next time! 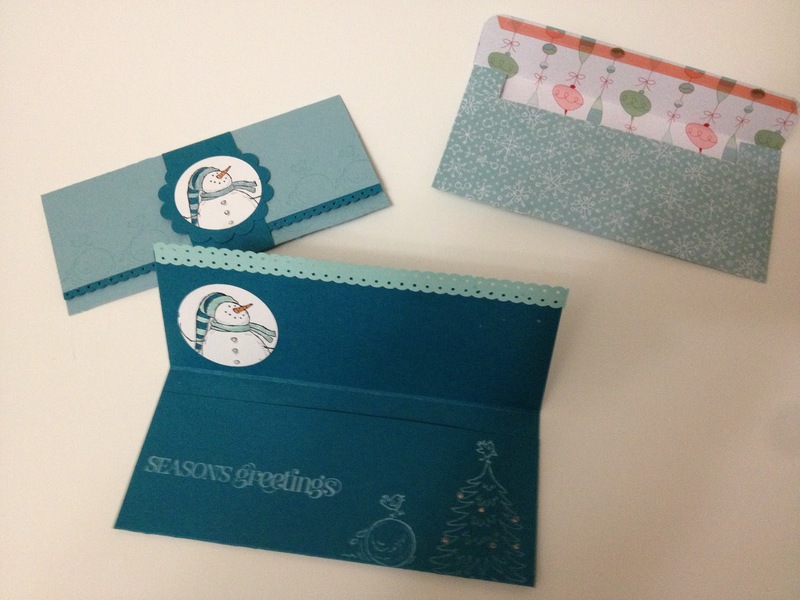 Giftcard/Money Holders for Christmas! .... and tags! 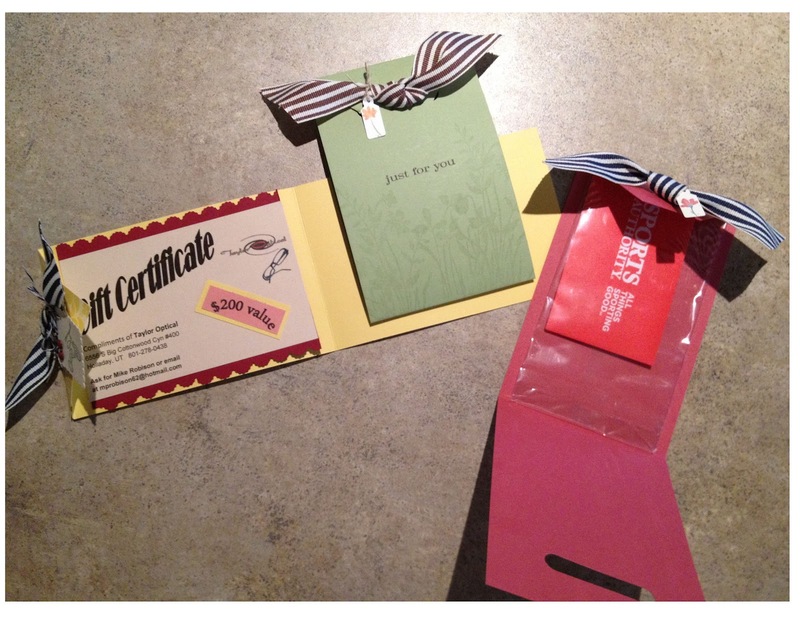 Kelly Gettlefinger came up with these cute little tri-fold gift card holder. I added the 'tag' and sentiment to make it a card as well. I've already used these up or taken them to Elite Salon in Midvale, UT. In fact you can see all these gift cards at the Salon. 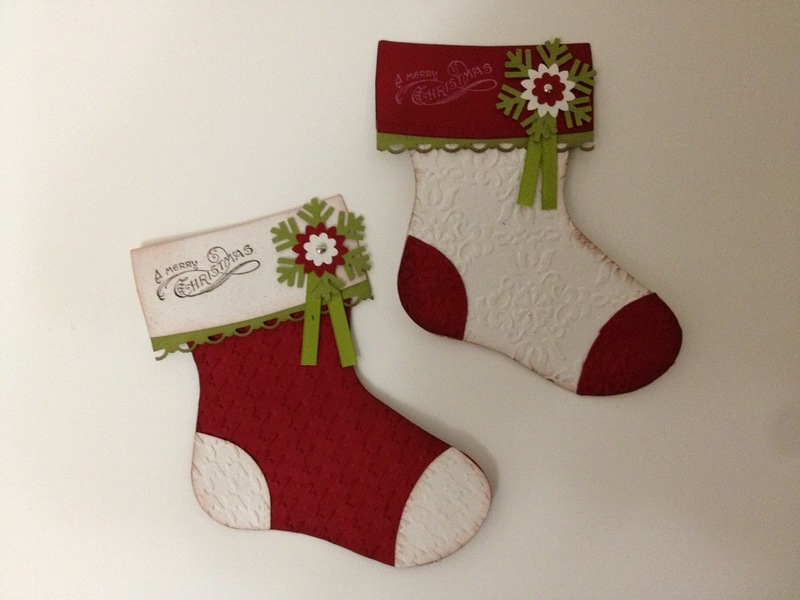 The stocking holder is a favorite - the 'cuff' comes off to reveal the opening of the stocking that can hold a gift card or money. There are lots of variations of these stockings, but I liked this one from Shelly Raines. 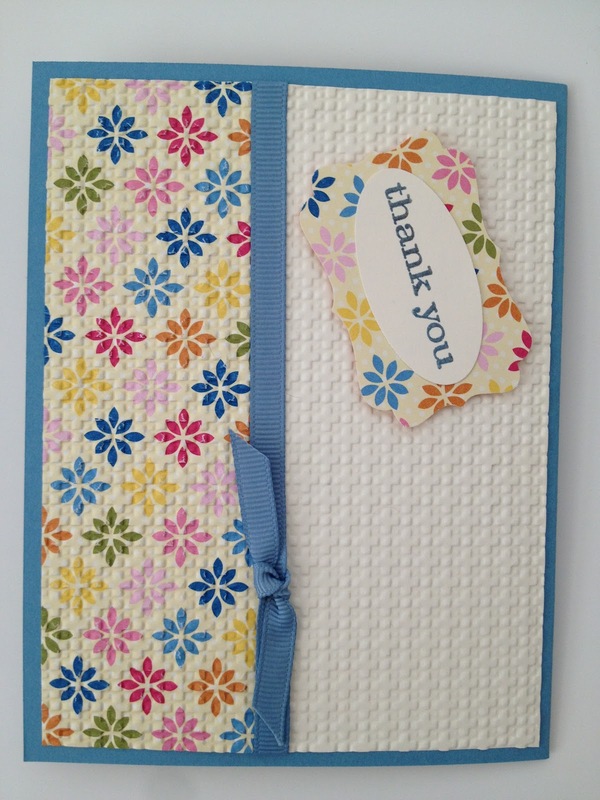 This wallet style money holder was designed by Michele Reynolds - love her work! I mail alot of gifts with family being out of state, so I added the envelope. These cute tags are large enough to write a sentiment or note on the back with added 'blank' paper on the back for that purpose. It's a tag and card in one! 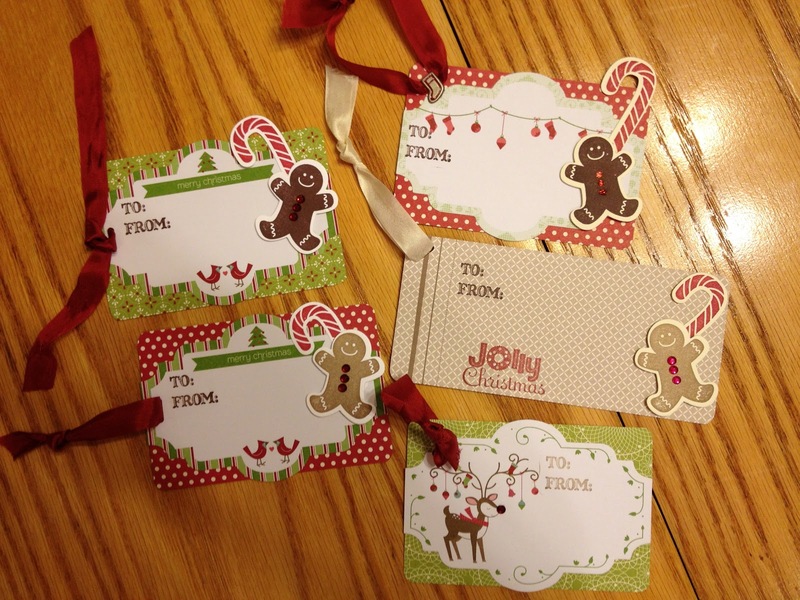 These printed tags and stamped diecuts are available in the Holiday Catalog from Stampin' Up! Many of you should be receiving your Spring Catalogs in the mail, along with the Salabration booklet! Yes! It's that time again! You can order these new products through this website in January! Look for more fun projects coming soon! Be warm, be safe and be crafty! Merry Christmas! So, I wasn't going to get the Googly Ghouls set when it came out in the Holiday Mini. Connie Babbert is the original creator of the Mummy Trio, which uses Calypso Coral instead of the standard Pumpkin Pie or Cajun Craze as the 'orange' base. Pumpin Pie was used for the Hiding Mummy. 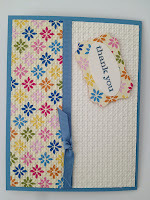 I like how the Stampin' Up! colors are both used in the DSP... notice they both have the same sheet of DSP as a background! The Hiding Mummy design was created by Tracey Caudle. 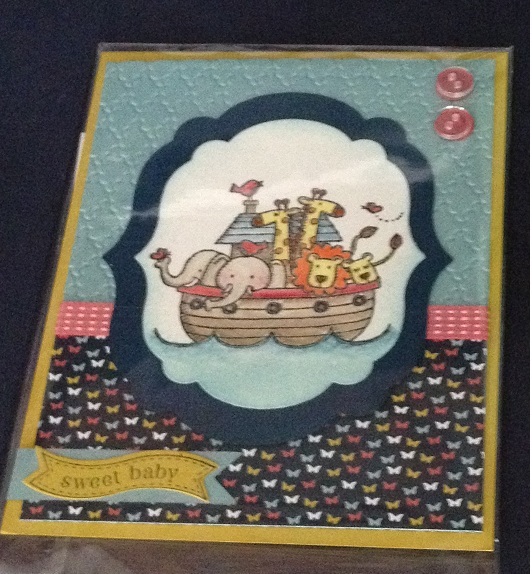 I kept the general layout, and changed the paper, accents and sentiment. I used different embossing folders too! All three of these cards are on display at Elite Nail Salon at 7300 South 900 East, next to the Belgian Waffle House, along with several other of my cards and gift boxes. 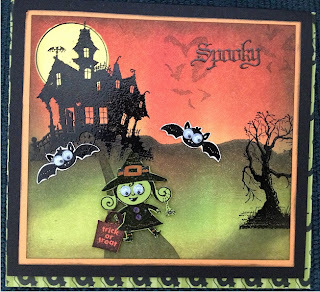 (upper/left) - Button Buddies is one of my favorite Stamp Sets from Stampin' Up. Sometimes I really struggle though, with smaller images. I was really happy to find this layout which does a great job highlighting a smaller image from this set like the flower pot. Lots of layers, but they are simple. I used the Ice Cream Parlor Kit that is currently available in the clearance rack, along with these coordinating buttons and ribbon. Yummy! I used a small piece of ribbon on the vase to give it more color and dimension. 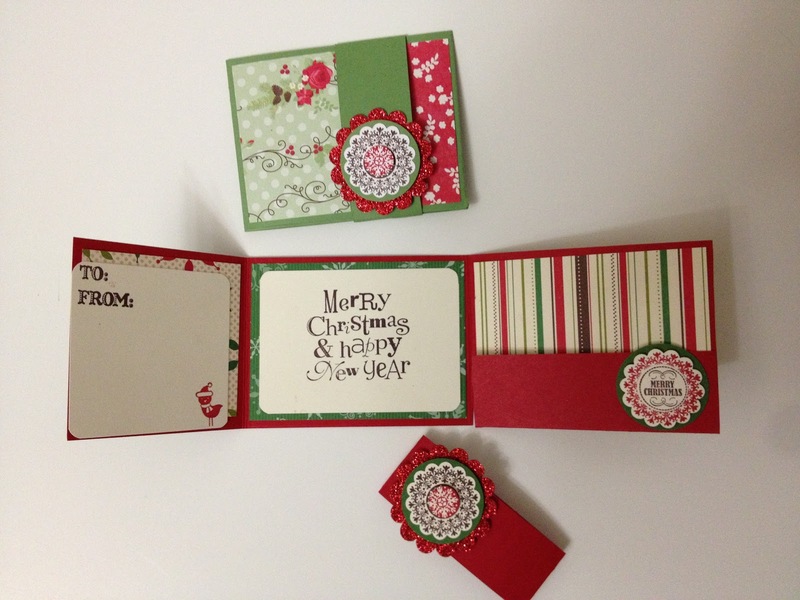 This Kit is super versatile and cheery! 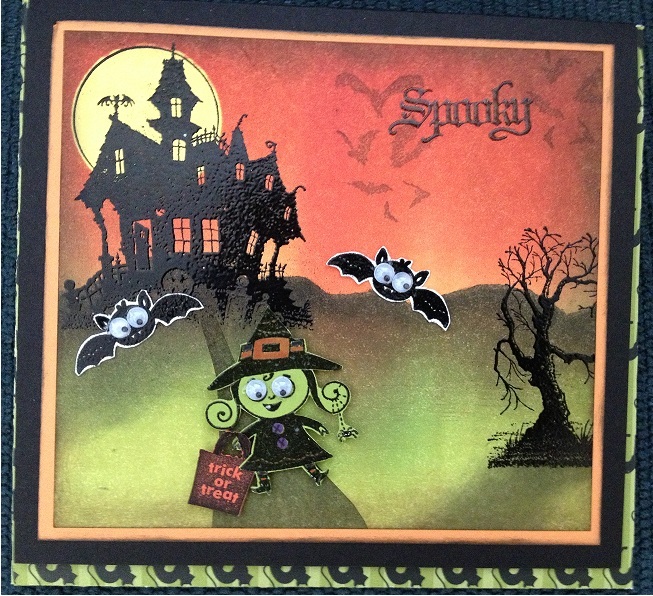 (upper/center) - Dawn Olchefske made quite a splash at Convention by reviving this layered stamping style. 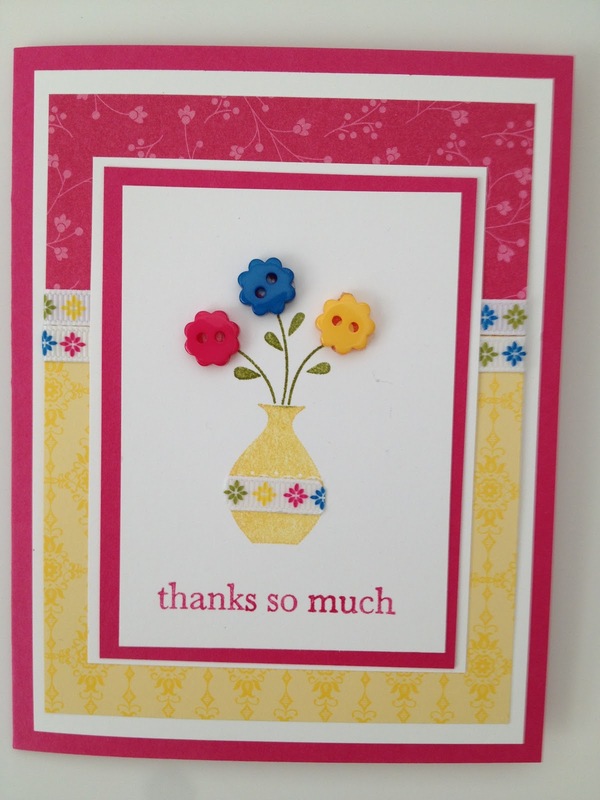 There are tutorials for it on her website as well as Split Coast Stampers under Resources. 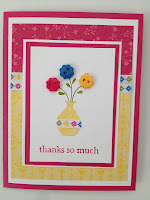 I used the new Stippled Blossoms in Night of Navy and Not Quite Navy, and the Flowering Flourishes in Always Artichoke. And, I forgot the sentiment; it needed to be stamped first - oh well! Blank card, it is! A little Always Artichoke seam binding and we're done. This is a fun and fairly quick technique that looks oh so elegant! (upper/right) - First, if anyone can help me turn this card, I would be grateful. I've tried everything, and Blogger just really want to keep it in it's original format! Anyway, I love the simplicity plus Wow factor of dry embossing designer paper. I love this quick layout! layer a 2" piece of DSP onto solid card stock. 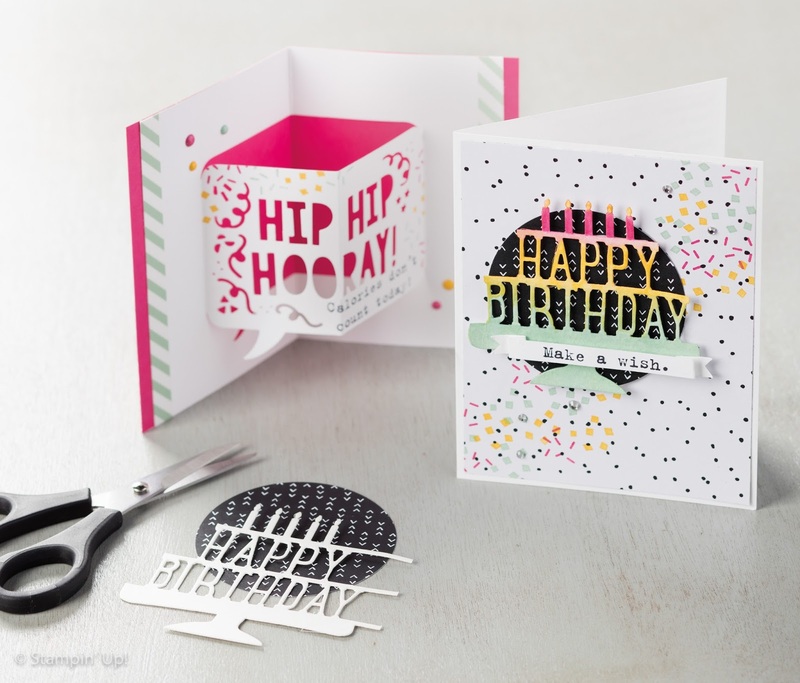 Run thru the Bigshot with an embossing folder. Tie on ribbon, stamp a sentiment, punch it, adhere it to a punch of DSP, and attach with dimensionals. Adhere it to your card base, and tada! Quick thank you note! (bottom/left) - The Array of Sunshine Set was stamped in Lucky Limade, Primrose Petals, Baja Breeze and Wisteria Wonder then cut out by hand. This is Louise Sharp's design, although her sentiment, colors and background matting are different. (bottom/right) I love the French Foliage set, but it took me awhile to warm to it. I love it now! 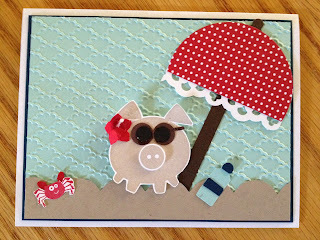 This collage technique is a fun way to 'make' your own designer paper! I hope you can find a technique, layout, color combination or stamp set from my post that inspires you! Happy Stamping! Hey Everyone! Well, I'm back from vacation and busy with my push to get ahead of the holiday rush by getting some Christmas Cards made in advance. At the Stampin' Up! Convention this year, Bonnie Thurber demonstrated the Snow Festival Designer Printed Tags and a quick option for Christamas Cards combined with SU Note cards. I thought I would step it up, and include the Festival of Prints Designer Series Paper Pack, too! These little darlings came together very quickly! 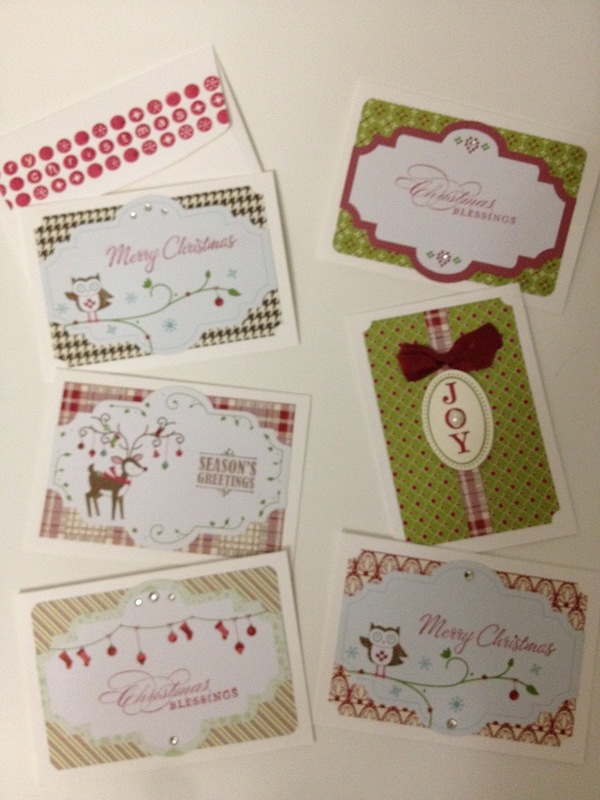 So, for $16.85 in supplies and a Christmas Sentiment and a little bling and ribbon, I have 25 quick cards! Even with ribbon and bling, it's less than $1 each to make! Sweet! Have a great day and I'll be posting more from Convention this weekend! Morning All! I just had to share this video with you from Patricia Giesbrecht! It demonstrates how to use re-inkers to refill markers! So awesome! Re-inkers have SO many uses from refilling pads and markers to all kinds special techniques. This is quick and easy to do - watch: Using Re-inkers on Markers. And, some fun and unusal news from SU! 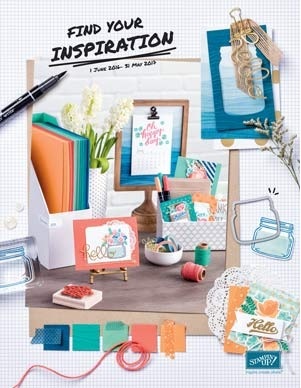 Several Occasions Mini items are carrying over to the Catalog available June 1st! 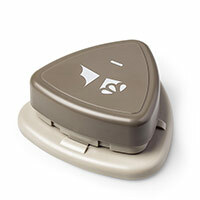 They can be found here: Occasions Mini Carryover Items. Also, Email me if you would like to pre-order a catalog, as they have reduced the price! Catalogs are now available for direct shipping! I'm so excited for this feature! I can now deliver a catalog to you, directly from Stampin' Up! The new annual Catalog will be available for Pre-order May 7th, and will be delivered between May 7th and May 21st! I can't wait to see what fun goodies we can play with over the coming year! I was able to do a little pre-ordering for you, so look for new project posting with new In-Colors, embellishments and stamps! College Graduation is just around the corner! 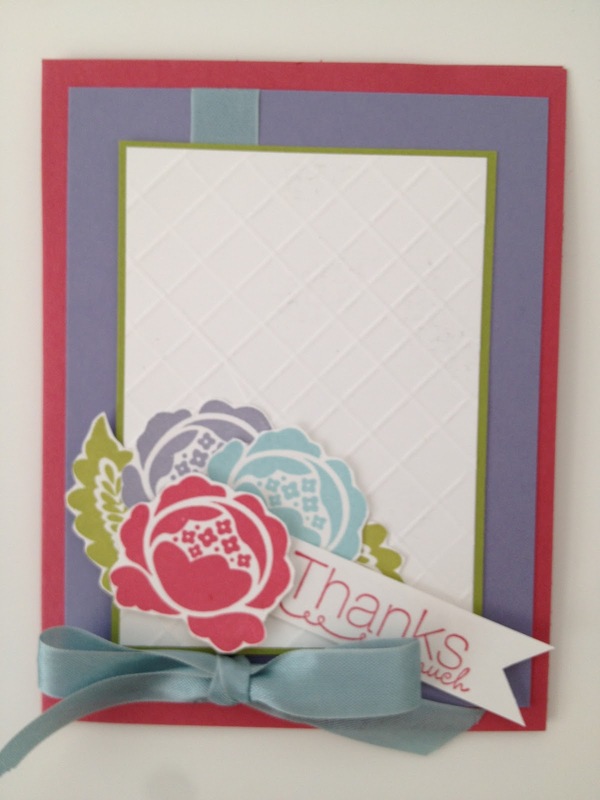 Lots of new goodies will be announced soon, as Stampin' Up releases it's new colors and annual Idea Book and Catalog! I can hardly wait! Stay tuned for more fun creations and have an awesome day!